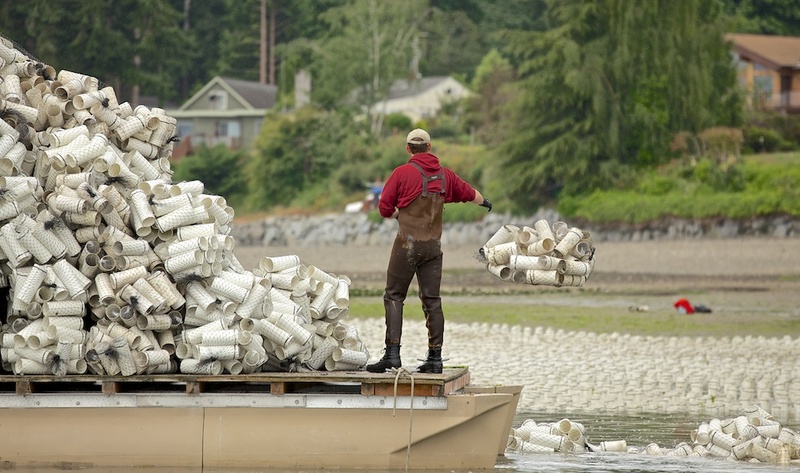 Geoduck clam cultivation in Puget Sound, is Tomales Bay next? Click on the above words “Geoduck clam cultivation in Puget Sound, is Tomales Bay next?” to see this entire post. I support responsible, sustainable shellfish aquaculture, practiced in the public waters by authentic stewards of the land and sea. 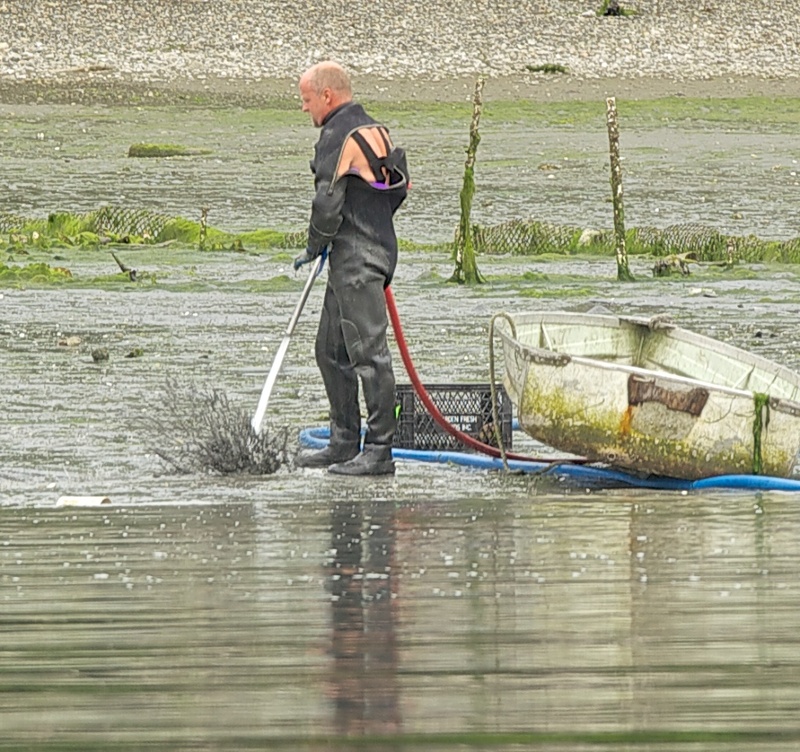 The recent application from San Andreas Shellfish of Dillon Beach to cultivate, among other species Geoduck Clams in Tomales Bay is cause for concern. Read about the lease application process here. 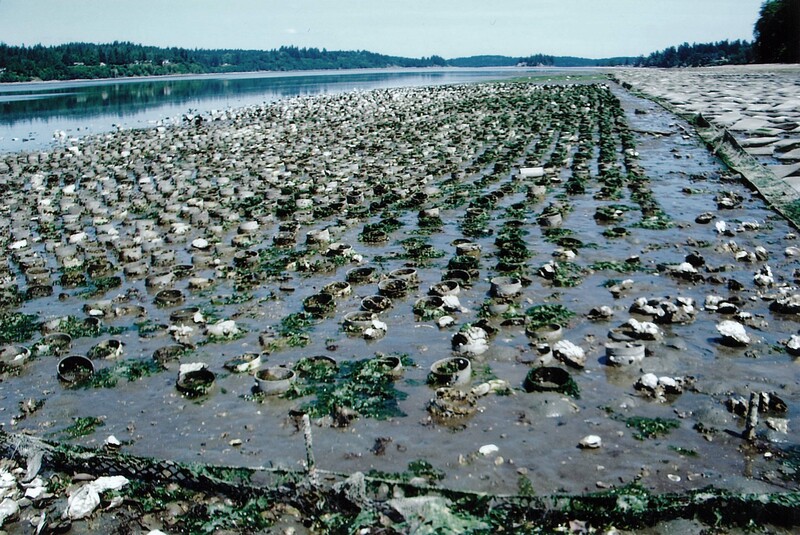 Citizens of the Puget Sound area have for many years been working hard to protect their beautiful coastal seascape from commercial geoduck clam cultivation. This practice, quite profitable to some, pollutes far and wide, contributing significant amounts of plastic to an already toxic sea, as well as turning an otherwise sublime natural scene, into a dystopian nightmare. 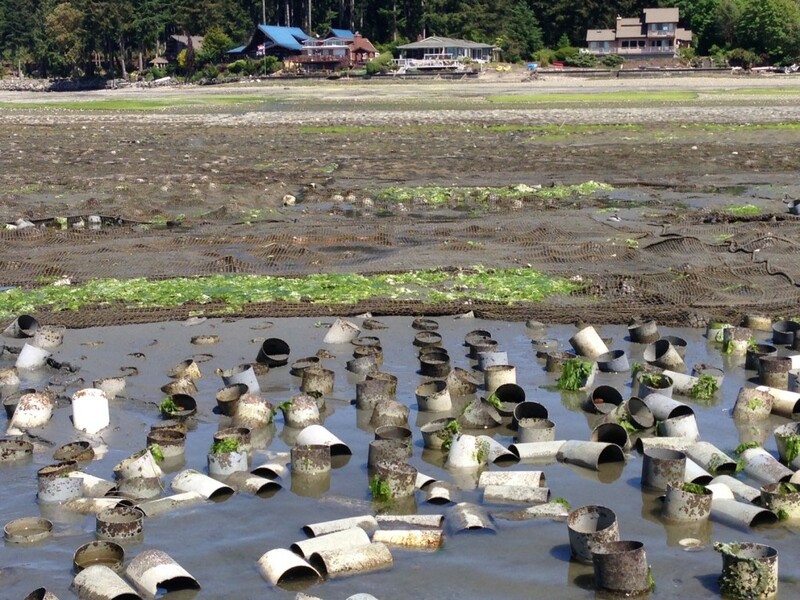 The images that follow show what the practice of geoduck clam cultivation does to the environment. Do these images portray authentic stewardship? Tomales Bay is already significantly degraded by the current and past practice of oyster, clam and mussel cultivation. Over 140 years of aquaculture have left a deep, disgraceful legacy in Tomales Bay. 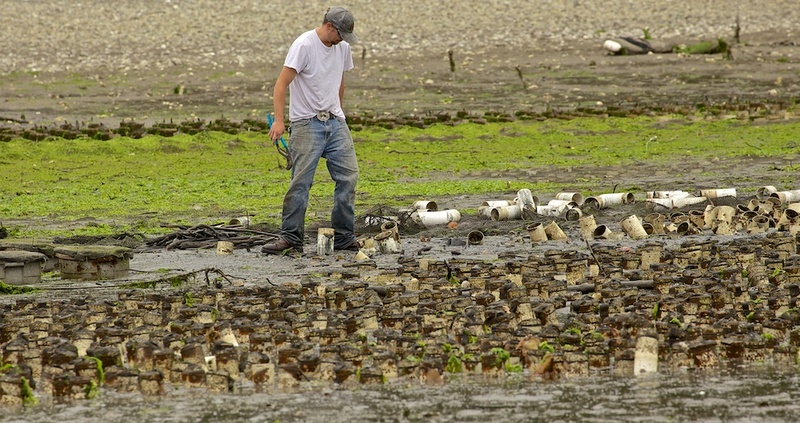 Before any new leases are approved, the California Fish & Game Commission and California Department of Fish & Wildlife shall clean up the tons of debris littering the bay, the Oyster Farming Legacy (OFL – rhymes with awful). See the OFL still polluting Tomales Bay here. If you feel strongly about protecting the unique beauty of Tomales Bay, please write the following people and let them know you want them to clean up the Oyster Farming Legacy trash blighting Tomales Bay before any new leases are approved. 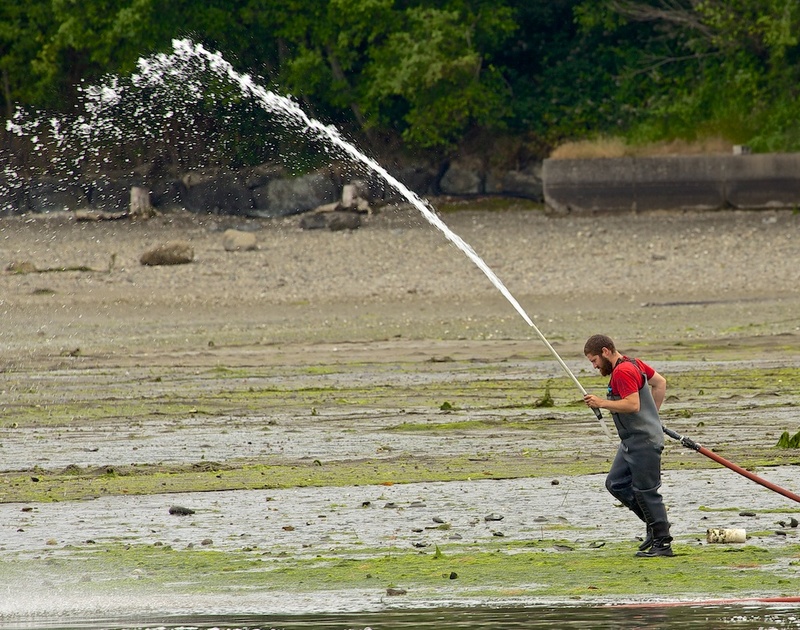 High pressure water jets are used to liquify the substrate to loosen the clam for harvest. Damaging or destroying any other organisms in the area. What Puget Sound looks like after harvest is complete.